22mm unfinished 180mm wide board. Strapped up because flooring is full glue bonded to floor. 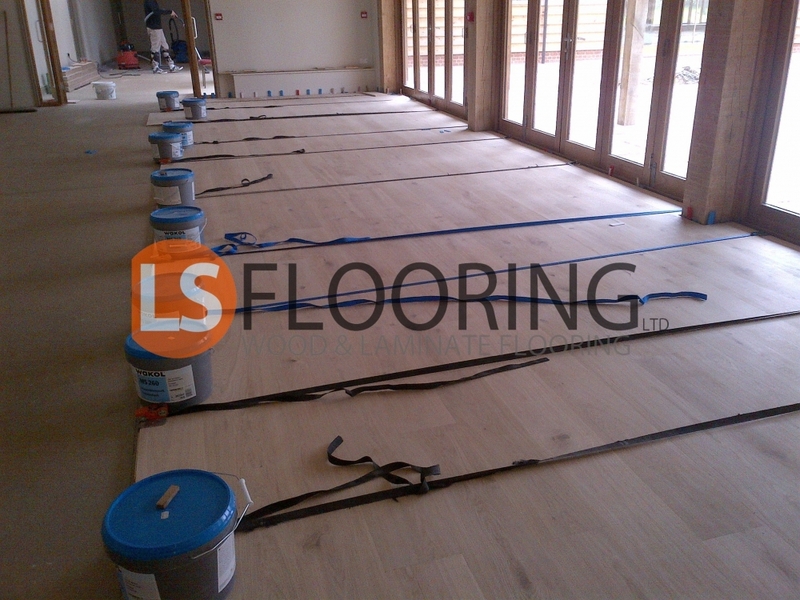 Multiple straps used to pull flooring boards together for a professional finish.